As the weather starts to cool down, food and agriculture issues are heating up. 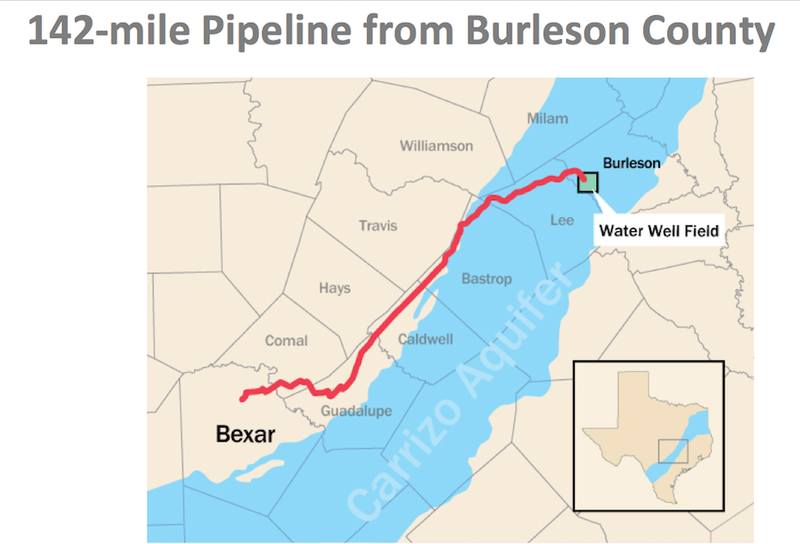 Meanwhile, in Texas, San Antonio politicians appear bent on jumping into a financially risky public-private partnership to build a 142-mile pipeline to grab water from rural areas and ship it down to San Antonio in order to allow development over their own environmentally sensitive aquifer recharge zone. Wherever you are in the country, we invite you to join our 2-day Citizen Activism Workshop on November 10-11 in Austin, Texas. This workshop is our latest project to help people learn how to be effective activists, whether they are leading the charge on a local issue or working as part of a larger group at the state or federal level. Read more about these issues and the workshop below! The World Trade Organization (WTO) has ruled that the United States’ mandatory country of origin labels (COOL) rules for meat and poultry are an improper trade barrier. The U.S. 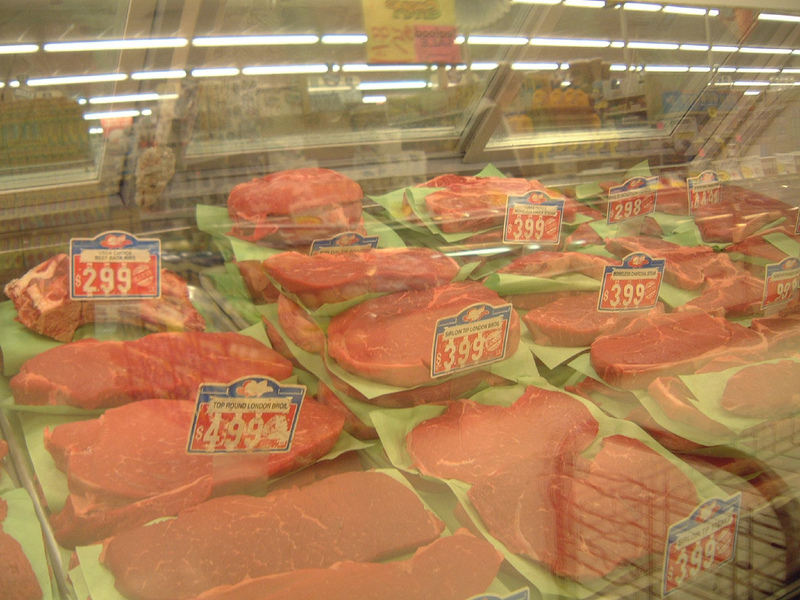 COOL law requires retailers to inform consumers where their meat comes from. While the WTO panel found that the goalof COOL labels was not improper, it found that the implementation of the COOL rules discouraged livestock imports from Canada and Mexico. The ruling does not end the fight, however! The U.S. can appeal the ruling, and the appeal would almost certainly extend well into 2015. And even if we lose on appeal, there will be several possible courses of action other than simply abandoning the program. An agribusiness magazine has just set up a poll to ask what the U.S. should do in response to the WTO ruling. If you have a minute, visit the poll and vote for “appeal and do nothing” (meaning that we do nothing until the results of the appeal are final). 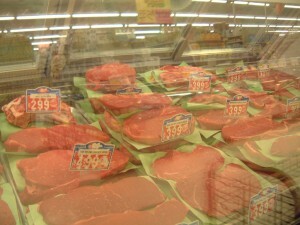 Congress first passed the COOL law in 2002 in response to the overwhelming support from both consumers and livestock ranchers, but heated resistance from international meatpackers delayed its implementation until 2008. Once it was implemented, Canada and Mexico, together with a few other major exporting countries, challenged the U.S. law at the WTO. In 2012, a three-member WTO panel ruled that livestock from Canada and Mexico were being treated less favorably than U.S. livestock under the COOL law and regulations. The core of the finding was that the regulation, which allowed labels to read “product of the USA, Mexico, Canada,” imposed costs on imported livestock without providing significant useful information for consumers. To address the issues, the USDA rewrote the COOL regulations in 2013. The new regulations improved COOL by removing loopholes that had allowed multinational meatpackers to mislabel exclusively U.S. meat with a mixed-country label. It also provided consumers more detailed information regarding where the animal from which the meat was derived was born, where it was raised, and where it was slaughtered. But Canada and Mexico renewed their complaints at the WTO, alleging that livestock from their respective countries continue to be less competitive in the U.S. market under the new COOL regulations. People have the right to know where the food they feed their families comes from. It is nonsensical to claim that a label that lets consumers know the origin of their food is a trade barrier. Yet the WTO has yet again ruled in favor of Canada and Mexico. This trade dispute highlights how corporate special interests can use the WTO to evade democratic governance. For the last fifteen years, the U.S. meatpacking industry has tried to prevent consumers from knowing the source of their food. The industry opposed COOL in the Congress, the executive branch, and the courts, but COOL has survived the special interest attacks. But by taking their complaint to the unelected bureaucrats in Geneva, the meatpacking industry has scored a win. Hopefully, the President and the U.S. Congress will continue to stand firm behind our right to know where our food comes from. 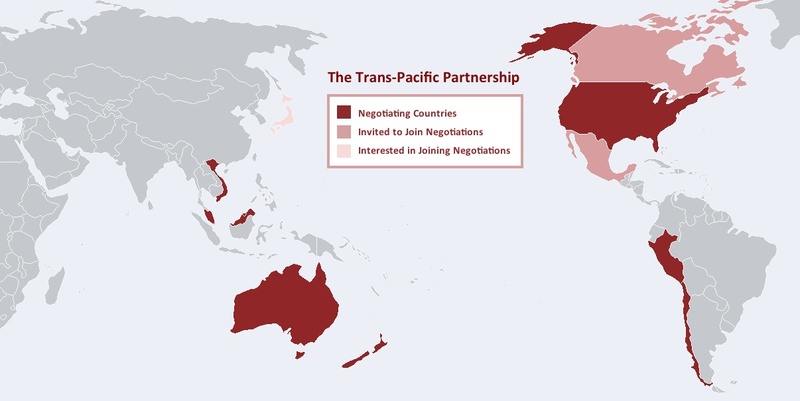 Speaking of using international forums to overturn American laws, the Trans-Pacific Partnership (TPP) trade agreement may be coming back. While the terms of this agreement remain secretive, it is clear that it would dramatically increase the ability of multinational companies and other special interests to attack democratically made laws in international trade tribunals. Back in January, we successfully killed “Fast Track” — the bill that would have given President Obama a blank check to negotiate trade agreements. But there are signs that Fast Track may be coming back during the lame duck session after the elections. The big corporations want Fast Track attached to a “must pass” bill, such as a tax extenders bill, in order to short circuit debate and scrutiny. 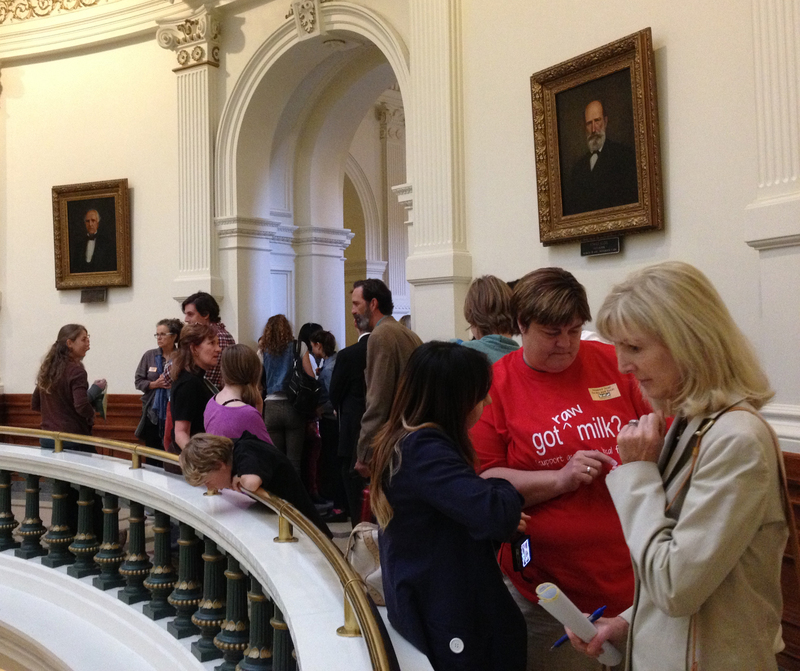 Texas News: Protect Our Rural Water Supplies! 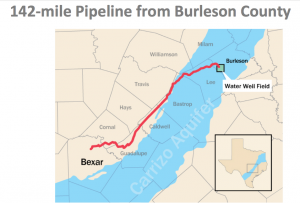 San Antonio politicians appear bent on jumping into a financially risky public-private partnership to build a 142-mile pipeline to grab water from rural areas and ship it down to San Antonio in order to allow development over their own aquifer recharge zone! This Vista Ridge project is bad for San Antonio ratepayers, the environment, and all the rural communities that depend on the aquifers. On a recent radio show, San Antonio interim Mayor Ivy Taylor claimed that she hasn’t received any complaints about the Vista Ridge water grab. Really? Action Item 1: If you live in San Antonio or any of the affected rural counties (Milam, Burleson, Lee, Bastrop, Caldwell, Guadalupe, Comal, and Medina), call the Mayor’s comment line now at 210-207-2280. Ask her to stop the Vista Ridge project before she harms two aquifers and her own ratepayers! Action item 3: Spread the word! You can download a flyer and get more information on how you can help reach out to San Antonio resident from our friends at the League of Independent Voters at www.independentleaguetx.org/vista-ridge. The local food movement is growing by leaps and bounds, but so is the opposition to it. From local zoning conflicts to burdensome state and federal regulations, we need more people across the country — both farmers and consumers — to speak up! Farm and Ranch Freedom Alliance (FARFA) is offering a two-day Citizen Activism Workshop to help you learn how to be effective in speaking up on the issues that matter to you, whether it’s as part of a larger group like FARFA or leading the charge at the local level. The knowledge and information you will gain will help you make good use of your valuable time and have a greater impact. Visit our event web page to see the agenda and learn more about the presenters. Don’t miss this important educational opportunity on November 10-11 in Austin, Texas! Seating is limited for this workshop so that we can provide personalized attention to all attendees. 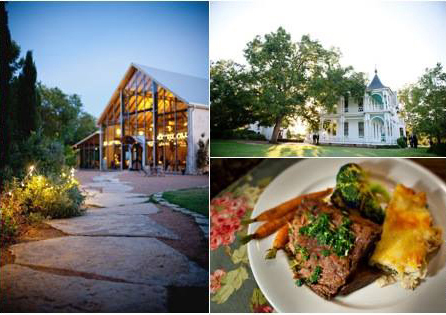 The workshop takes place at the historic Barr Mansion, and the $40 registration includes lunch on both days, prepared from scratch by their in-house catering using the best quality organic & local ingredients. Scholarships are available! Contact 254-697-2661 or Judith@FarmAndRanchFreedom.org for more information. We need more people to get involved in fighting for our farms and our food — it’s time to multiply our impact!